Zaidun-Leeng Sdn Bhd is one of the six companies in Zaidun-Leeng Sdn Bhd Group covering Malaysia, Singapore and Brunei Darussalam. The remaining five companies are Perunding UZL Sdn Bhd in Kuching, Zaidun-Leeng (Sabah) Sdn Bhd in Kota Kinabalu, Leeng Consultants Pte Ltd in Singapore and Jurutera Perunding LCE and Boltan Hennessy Sdn Bhd in Bandar Seri Bagawan. For Highway projects the Associate firms are Perunding Zaini Khoo dan Rakan-Rakan Sdn Bhd and Isotech Consult. The Group had its origin in the firm of Keith Edmonds Associates, which was established in Kuala Lumpur in 1957 to provide Consultancy Engineering Services for iron ore exploitation. As years went by, the local Engineers played a more important role in the running of the firm. 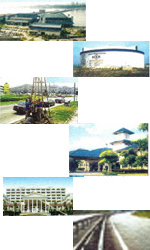 Zaidun-Leeng Sdn Bhd as is now known was than established in 1975, providing consultancy services in Civil, Structure, Mechanical and Electrical Engineering. Today, the Group can lay claim to involvement in more than 1, 000 projects providing Engineering Services for the design and supervision of Highways and Bridges, Commercial, Industrial, Residential, Educational and infrastructure Projects as well as providing Advisory and Management Services. Zaidun-Leeng Sdn Bhd provides a fully integrated Engineering Consultancy Services covering, civil, structural, geotechnical, mechanical and electrical engineering and project management. In each discipline, Zaidun-Leengs responsibility extends from preliminary investigation and reports through to detailed design, specification, the calling and evaluation of tenders, supervision of construction and finally the handing over of completed projects to the client. In the last fifteen years, Zaidun-Leeng Sdn Bhd have been actively involved in all the major highway and urban road projects in Malaysia. These include the North-South Highways; Damansara-Puchong Highway, New Klang Valley Expressway, Western Kuala Lumpur Traffic Dispersal Scheme, all of which are BOT projects. The company has assembled a team of highway experts, who have successfully completed the countries major highway projects. This expertise is available for planning, designing and implementing private and public sector funded Highway Projects in the Indian Subcontinent.